It's that time of year when many people take pride in the resolutions they met, lament the ones they failed to keep, and make new ones to start afresh. Recently, I spoke with a friend and former colleague who is a software developer at a technology company in Virginia. As we shared our plans for 2018, he told me about an unmet resolution he had for 2017, which was to learn Azure. He recalled that this resolution originated back in 2013. As is the case with most abandoned resolutions, he had plenty of reasons at the ready to defend himself. He even joked that he’d keep the tradition alive by resolving to learn Azure in 2018. I suggested that part of his problem was with the resolution itself (the other being procrastination). For me, the notion of learning Azure triggers the snowclone that it “is a journey, not a destination.” Instead of trying to learn Azure like it was something fixed and finite, I said he should make his resolution to just learn something new about Azure each day. If he implemented that one change, he could be successful with this year’s neglected resolution starting today. 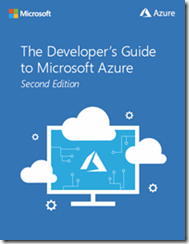 Get the free eBook - Read The Developer’s Guide to Microsoft Azure, Second Edition. This eBook is only about 50 pages long, but it provides a quick technical overview of what Azure is for developers (and it was written by developers). When you're ready to try the three walkthroughs in Chapter 6, which will give you some hands-on time with Azure, you'll need to go to the next step below. Create a free account - When you're ready to start getting hands-on, create a free account. This year, the free account got even better. The process requires a credit card for identity verification. Although there are many free services that you can use in Azure, the 30-day Azure Free Trial gives you $200 to spend during that period. When you sign up for the trial, the spending limit is turned on by default. The spending limit is $0. Although the limit can’t be changed (you either have one or you don’t), you can set up billing alerts to monitor spending and pin the Spending rate and forecast chart for your subscription to the Dashboard. Pick a project to use - Azure is something that requires more than content consumption to become proficient. Eventually, you have to start building something. You’ll progress faster along your journey and enjoy better scenery if you have a project that you can take to the cloud. Perhaps you have a hobby app that you built to learn some other technology, or a personal website. If you’re at a total loss, explore the Azure Code Samples or find an app on GitHub to fork, such as ToDoListAzure or try the Explore Cosmos DB sample to see what's so fantastic about Azure Cosmos DB. Get into the cockpit - Depending on your preference for GUI or command line, use the Azure portal or Cloud Shell to work with Azure. The Azure portal is a web-based UI for doing just about anything you can possibly do with an Azure resource. Azure Cloud Shell is another installation-free option with the power and flexibility of using either Bash (now generally available) or PowerShell (in Preview) to rule your world from the command line. Docs - The Azure documentation is the most comprehensive and current resource you’ll find. Many of the tutorials in the docs include the ability to launch Cloud Shell alongside the tutorial steps. This new site replaces the old MSDN Library and provides a vastly improved experience. Videos - Azure Friday is a video series I help produce. Originally a weekly series, we now publish 3 new episodes per week to keep up with how fast Azure is growing. Some other short-format video series to follow are: the Azure playlist of Microsoft Mechanics, Tuesdays with Corey, Cloud Tech 10, and Azure this Month. Blogs and email newsletters - Last week in Azure is a series I started for the Azure blog. It provides a weekly round-up of Azure news. There’s also some good community blogs, such as Azure Weekly and Build Azure. Subscribe to the Azure Newsletter to get Azure news delivered to your inbox each month. Audio - There’s also The Azure Podcast, which average about 30 minutes apiece.